We smash the windows of a branch of the Deutsche Bank as a women’s team in Dresden Trachau (Leipziger Straße 159). We attacked this bank because it is known for making heavy investments in the war industry. For example, they have supported the production of the Leopard 2 tank, which is sold by the German government and used by the Turkish government. With this they are going against the liberated area in Afrin. For us, the revolution of Rojava is a great ideal. 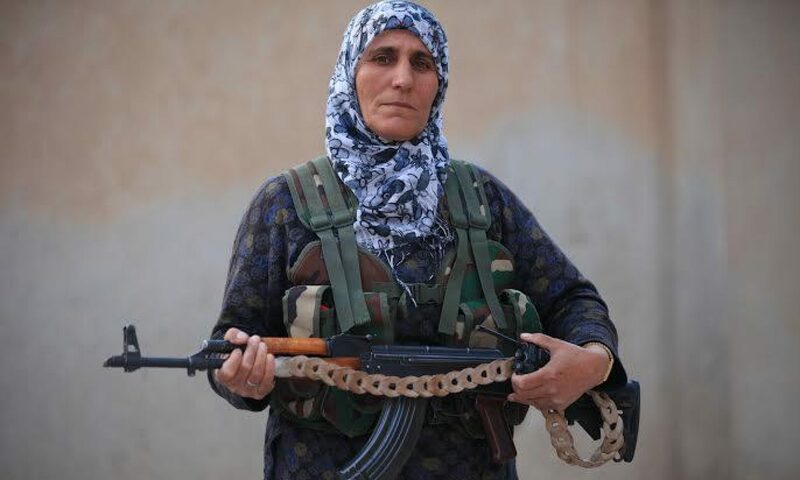 Rojava is trying to overthrow the patriarchy. Explicit facilities for the liberation of women are being set up. This can range from women’s councils to YPJ women’s units. Fight the patriarchy and for the revolution!